Stagnating wages among U.S. workers since the 1970s is well-documented. Also well-known is the outsized—and still growing—market impact of a small number of giant retailers such as Amazon.com Inc and Walmart Inc. What is less known is whether these two trends are linked. In research I’ve been conducting—detailed in an article recently published in the American Sociological Review—I’ve found that increased pressure from large corporate buyers decreases wages among their suppliers’ workers. The growing influence of these buyers on workers’ wages is significant enough that it accounts for around 10 percent of wage stagnation since the 1970s. My findings show how shifts in market power have affected workers’ wage growth. Relative to the postwar economic boom, U.S. workers’ pay growth has slowed by around one-half since the 1970s. During that same period, market restructuring has shifted many workers into workplaces heavily reliant on sales to outside corporate buyers. Large retailers such as Walmart and Amazon wield increasing power against manufacturing suppliers and warehousing and shipping contractors. When this happens, big corporate buyers are able to demand lower prices for the goods and services they are buying, and suppliers and contractors must sell at lower prices and try to cut costs. Likewise, companies increasingly outsource noncore functions, including food service, janitorial, and security jobs, a phenomenon known as the fissured workplace. The result is that more and more workers are employed by intermediate employers, which in turn rely on sales to outside corporate buyers. Anecdotally, pressure from large corporate buyers seems to affect employment conditions at supplier companies. Farris Fashion, for example, was an apparel manufacturer in Arkansas that produced flannel shirts. In the 1980s, Farris became entirely reliant on sales to a single corporate buyer—Walmart—producing shirts under Walmart’s Ozark Trail label. Walmart continually pressured Farris for lower prices, creating pressure for the manufacturing jobs at Farris’ factory to be persistently poorly paid. In 1990, the textile workers union tried to organize Farris. The company’s owner brought his workers together for a meeting and explained that Walmart’s Sam Walton “wouldn’t buy union goods” so they should “stop messing around with the union,” according to Nelson Lichtenstein, the author of The Retail Revolution: How Wal-Mart Created a Brave New World of Business. What is going on here? There are a few reasons to expect pressure from large corporate buyers to decrease wages among their suppliers. 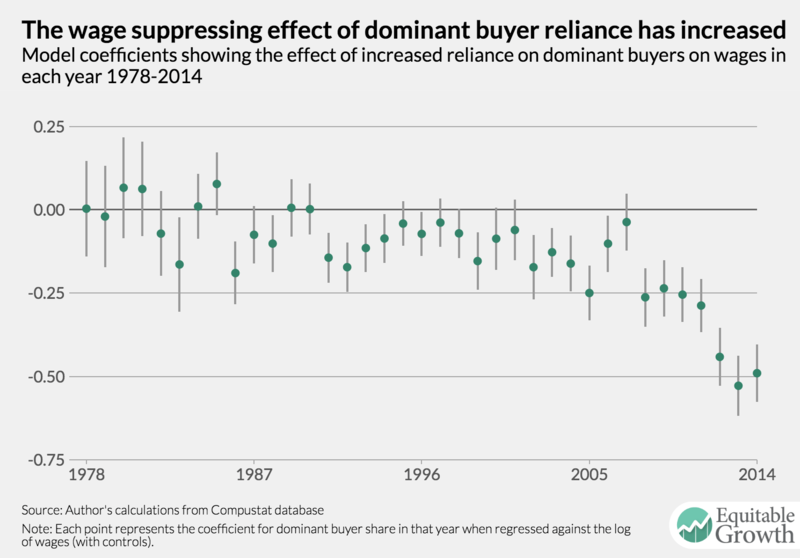 First, prior research suggests that large buyers can pressure suppliers to accept lower profits. If suppliers pay their workers in part by sharing profits—economic rents, in academic parlance—then increased buyer pressure could reduce wages. Second, unlike a supplier company’s own managers, outside buyers enjoy social distance from their suppliers’ workers. This allows large buyers to ignore the fairness norms and social pressure that directly employed workers can use to increase their pay. As a result, prior research finds that when companies outsource previously in-house services such as janitorial or security workers, these outsourced workers face slower wage growth than do remaining, directly employed workers. Finally, compared to dispersed buyers, the benefits of labor cost-cutting are concentrated among one or a small number of buyers. 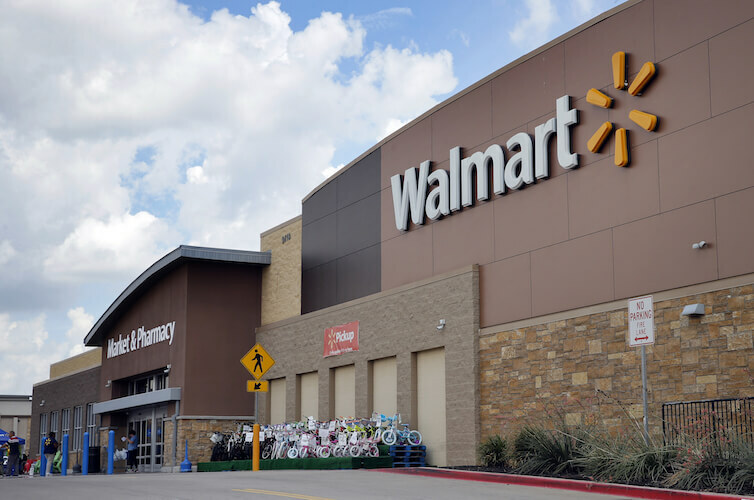 As Walmart was Farris’ sole customer, it could reap the gains of lower wages at Farris without worrying about competitors immediately getting lower prices too. Unfortunately, testing these predictions is difficult. Most firm- and worker-level data include no information about relationships between corporate buyers and suppliers. I take advantage of a reporting requirement imposed on publicly traded companies since 1978, which stipulates that a supplier company disclose any sales to buyers that account for 10 percent or more of the supplier’s annual revenue. This disclosure requirement offers a rare opportunity to directly observe supplier reliance on large corporate buyers. 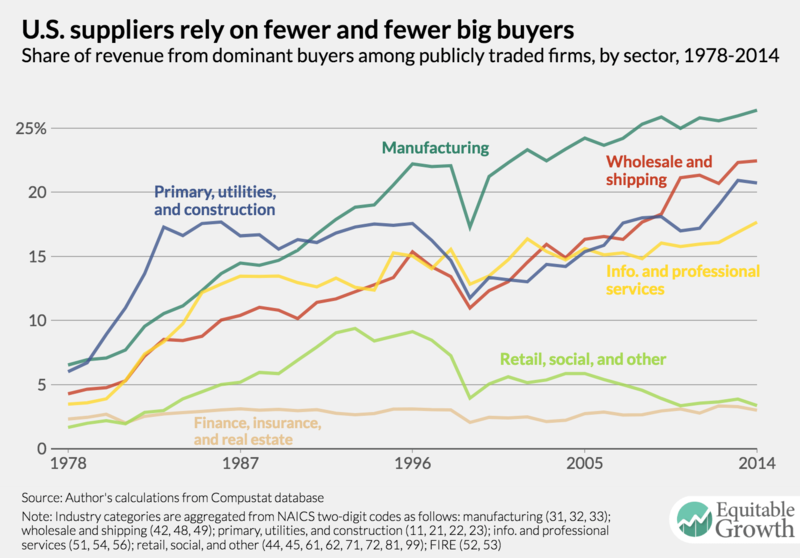 Overall, as noted above, the increased power of corporate buyers can account for around 10 percent of wage stagnation among publicly traded companies since the 1970s. These findings imply that understanding wage stagnation requires attention to changing contracting relationships between companies. Wage stagnation is not only a result of inadequate education or skills among individual workers. The organizational context of workers’ jobs—what kind of company and workplace they are employed by—also affects workers’ power to bargain about wages. This organizational context goes beyond immediate, within-organization characteristics—such as a company’s collective bargaining agreements or its ownership structure. Relationships between organizations are also factors in the organizational context that affect workers’ jobs and pay. The findings in this study suggest that in an era of outsourcing and market concentration, these between-organization relationships are increasingly important for setting workers’ wages—to the overall detriment of workers. —Nathan Wilmers is a doctoral student in sociology at Harvard University and a 2017 Doctoral grantee of the Washington Center for Equitable Growth. In July 2018, he will be starting as an assistant professor at the Massachusetts Institute of Technology’s MIT Sloan School of Management.